Ron E West, now 76 years ‘young’, is on a mission to tell his story to others and share his experience and knowledge, in coping with and even reversing many of the chronic, debilitating autoimmune conditions that are becoming increasingly common worldwide. Back in the day, in the 1980s and 1990s, when Ron was flying high in his career, with a 400-year-old cottage in England, His and Hers luxury Mercedes cars and a seagoing motor cruiser as a getaway retreat, he thought he was invincible and life couldn’t get any better! Ron enjoyed everything about his life and had a passion for his work in IT. He had a hunger for knowledge and a thirst for understanding how things worked. His constant reading and research kept him one step ahead of his competitors all the time. Life was full of challenges and Ron thrived on challenges! His job in IT was to find solutions to difficult problems and for this he possessed a remarkable talent. He had a well-deserved reputation for developing novel strategies to achieve key objectives. His passion for his work was all-consuming and perhaps he didn’t do things he should have done to take proper care of his health. He was just too busy being busy! Such dedication to work comes at a cost and not taking care of physical well-being eventually takes its toll on your body. How often do we hear of people burning themselves out early in their professions? They fall victim to high stress levels and high expectations, working 24/7 to achieve ever-demanding goals. Health problems started for Ron in 1996, although at that time he didn’t acknowledge there was a problem. In hindsight he can see it. At Christmas 1997 Ron’s daughter queried what was wrong with him. He had lost his spark. She could see he wasn’t happy. Having reached his goals of a successful business and a fulfilling lifestyle early, Ron wasn’t ready to stop and retire from his career, but he couldn’t see where to go next. It was then, at 55 years of age, with the support and encouragement of his wife Michele, who had always believed in his capabilities more than Ron himself, they took a leap of faith and moved to Gibraltar. There, Ron worked on a project with IBM, which led him to even more success and renewed satisfaction in his work. At that point Ron’s health was beginning to falter. His legs would sometimes give way. He had developed a strange gait, which didn’t go unnoticed, but he had become accustomed to it. In 2005, he was working on the IT systems in the Private Health Clinic in Gibraltar, when the Principal at the clinic called Ron into her office and confronted him with questions about his health. She referred him to the Wessex Neurological Unit in Southampton to undergo diagnostic tests. Even his consultant didn’t understand what had caused his condition. There was no known cure, nor could he prescribe any medication to treat it. Ron would just have to learn to live with it as best he could. He was also told, there is one good thing about IBM, there is rarely any accompanying pain, just a slow progressive muscle deterioration. 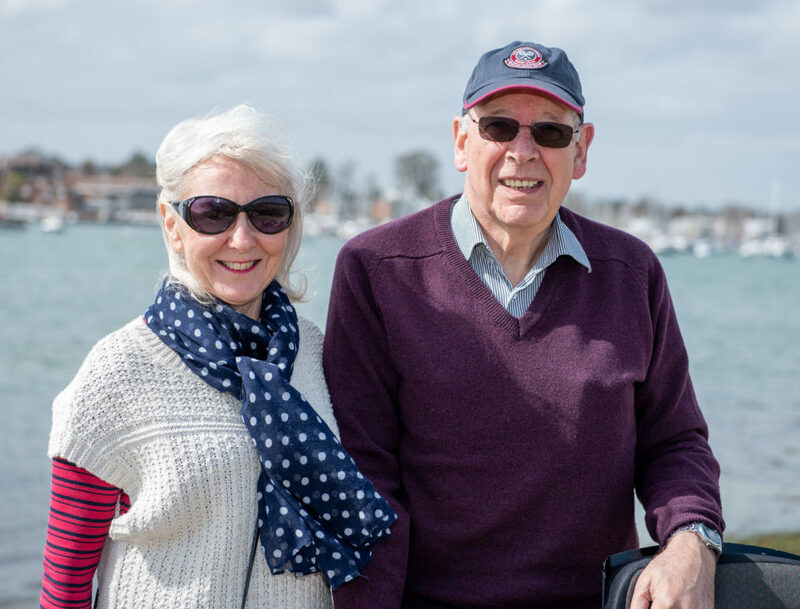 Two years later, in 2008 Ron was confined to a wheelchair, needing help and support from his wife Michele and daily carers. All of the wealth and assets which they had built up together over the years went into Ron’s care and rehabilitation needs. Ron began to seek out a solution to this new challenge, one of the biggest he ever had to face! After five years of barely coping and trying to do everything possible to get well, sadly in August 2013, he ended up in an A & E unit, being fed a mixture of morphine and other drugs every 2 hours, and still in excruciating pain. The severe pain he endured was nothing to do with the diagnosis of IBM, as an MRI scan, suggested by his Naturopath, was to reveal. It was from an arthritic growth around vertebrae C6 and C7 on his spine! His Naturopath recommended a spice, used for 6,000 years, called ‘turmeric’, mixed with black pepper and ginger, to be taken daily. Within 12 days of taking this, along with water, plus a more nutritious vegetarian diet, his pain soon disappeared, and has never returned. From a discussion with a friend in Italy, Ron learnt that fresh ‘alkaline ionized water’ was much better for recovering one’s health than mineral water from a plastic bottle. Just one year later, Ron changed the water he drank to ‘alkaline ionized water’ from the Enagic© company in Japan. Pain from the arthritic growth, the migraines, the acid-reflux and the stomach problems, all gradually disappeared. There were no more sleepless nights or chronic fatigue. The best thing is that now, 3 years later, he is able to walk again, something no one could have predicted! Ron has succinctly described the lessons he has learnt from his experience and has a clear sense of mission about what he can do to help and encourage others. “I am eternally grateful to have shared my life with my beautiful wife Michele for the last 33 years. Michele’s belief and encouragement in my career and then later in my rehabilitation and fight back to health has been phenomenal. I am to have had her by my side throughout my life. “In my opinion, Health is the key to a happy life, not Wealth. It’s never too late to make the changes you need to make, to re-balance your body and rectify the neglect. It had taken me more than seven years to find out what caused the problem, make changes and search for solutions. Something I have enjoyed all my life is finding solutions! “I now drink Energy Rich Water, which is Alkaline Ionised Water, take the best turmeric in the world and follow a great nutritious diet that suits me and more importantly, my needs. “I can honestly say that without this in my life, I wouldn’t be able to function as I do today. My life has been turned around by these three changes I have made. I started my recovery with the turmeric, a totally green diet of just vegetables, fruit and nuts, no meat or grain, no dairy products either, just plenty of water, the best water I could find! “I am very conscious about returning to nature and eating a diet that nature provides for us. Understanding that our bodies need to be balanced at all times, is absolutely vital to our health and wellbeing. “Living a healthy lifestyle plays a very important part too, keeping active as much as we can, with regular time off for relaxing, the ‘non-negotiable’ time we should all take for ourselves and our loved ones. “Now I feel it is my duty to share my story with others who are suffering chronic and debilitating autoimmune conditions. I believe there is always something that can help you, simply going back to nature is a great way to start. It is natural, and it is safe. “Yes, I made mistakes in my youth and took my body for granted, as many of us do. I should have taken more care. Knowing what I know now, I feel able to advise and help others going forward. “Advances in medical science and the pharmaceutical industry cannot take away our basic daily needs for water and natural nutritious foods. “By going back to basics and understanding the nutritional values and benefits from the food we eat, we can begin to make a difference. “Drinking plenty of Alkaline Ionized Water everyday has improved my digestion, flushed out the toxins thereby preventing headache and fatigue, and as I also discovered, can even aid in weight loss and maintenance. “Our bodies are composed of up to 75% water and staying well-hydrated is critical to our optimum health and survival. I feel I have become a ‘hydration specialist’ with all the research I have carried out and the knowledge I have gained during my illness and subsequent recovery. “I now want to share the knowledge and experience I have gained with others, and in turn help them find their path back to a healthy and enjoyable lifestyle. Life is here for us all to enjoy, with peace of mind, great bodily health plus the wealth to sustain it. Michele added: “Ron is a passionate caring man with so much kindness. He really is positive about his mission to share his story with others and hopefully enable them to avoid sickness in the future by making small changes in their lifestyle today. “We have been through some very rough times, when his illness was at its worst. Every day there are small positive changes to Ron’s health which we are both eternally grateful for. “Through hard work and determination Ron will not give up hope. He believes in the benefits of getting back to nature. How nature intended us to live. “It’s about finding what works best for your body. No two people are the same, but an increasing number of people are suffering from such debilitating chronic illnesses for which they are told, there is no cure or treatment. As a professional businessman who faced a major heath challenge, when just at the point of retirement with an expected future of enjoying the fruits of my diligent work in a career that I truly loved and enjoyed. I would like to share my story with you and the related experiences I had in finding the cause and a subsequently a solution, just one part of which, took me to begin using an ancient far eastern herb called turmeric, a natural yet versatile remedy for many ailments, which goes back many thousands of years. The history of Turmeric goes way back to the Ryukyu Dynasty and was found growing in the hills of a tiny Japanese tropical island called Okinawa. At the time the Island was part of the Chinese empire, and as many of you are well aware, turmeric spread out across the continent of Asia and was used as a spice herb in many far eastern recipes. One that many of you will recognise is the famous Indian dishes of ‘masala ‘ and ‘tandori’, both of which use turmeric to not only taste great, but notable for the rich ‘orange’ appearance as well. I’d like to explain the health benefits of curcumin, the active ingredient in the autumn turmeric plant. Believe it or not, the curcumin from the turmeric plant, has been used for a long, long time! I mean it’s been used for over 4000 years in Asia, as the all-natural, almighty cure, medicine and relatively recently scientists in the Western world have started to back up the incredible health benefits with over 9,000 medical research studies. The first benefit is that it is highly anti-inflammatory, it is 100% safe and an all-natural pain relief remedy. It relieves chronic joint pain, back pain, neck and muscle pain and even as I was to discover, invaluable for relieving the chronic and debilitating pain of arthritis. After all it was the recommended use of turmeric, (prepared correctly) which was the turning point, in my own personal major health challenge, just 4 short years ago. Another Benefit is that it can not only help people with Alzheimer’s by reducing the fever inside the brain, but turmeric can even prevent Alzheimer’s , because it helps improve the brain function memory level and everything from mood changes to the depression that occurs in patients with that condition. 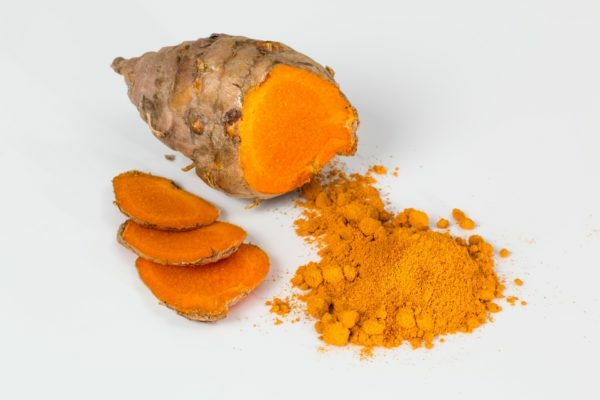 Yet another major benefit, is that turmeric boosts the body’s antioxidant mechanism. That means the ‘free radicals’ responsible for rapid aging, body decay, breakdown and damage to DNA, are effectively removed by the active ingredient curcumin from the autumn turmeric plant. Everybody knows that heart disease is the biggest killer in the world, well turmeric (curcumin) works for heart disease, it’s known to clean up your arteries and if you have plaque in your arteries, turmeric will clean up and eventually eliminate that plaque. Turmeric is also a great natural remedy for type 2 diabetes and works by balancing the blood sugar levels in the body. There are many other benefits in turmeric, it supports detoxification, it’s an antibacterial, it will fight against colds, coughing and influenza, it’s a home remedy for asthma. Recently several studies have shown, that turmeric can decrease cancer cells, by reducing and eliminating the damaged cells. Think it sounds too good to be true? I suggest you check out the benefits for yourself! I did, and it has certainly helped me to maintain and improve my chronic auto-immune condition. Thank you, and I do hope you enjoyed reading this post. 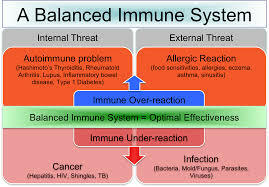 What is the human Immune System? 10 Years ago I was diagnosed with a rare neuromuscular disorder, and very soon afterwards I was informed that it was an ‘auto-immune’ condition, and I just had to learn to live with it. There was no recommended treatment, the was no suggestion as to what might have caused my rare condition, therefore there was no known cure either! I have to say here that I am not medically qualified, all I have done is researched the term ‘auto-immune’. I had similar challenges to those shown under the ‘Internal Threat’ in this diagram, and also because I was told I had an ‘auto-immune’ problem. If you have any questions at all, or would like to learn more – please do get in touch here. Who am I and what experience do I have to write about this? First of all, you need to understand that I am not a doctor, but just a man who has found a solution that helps him live with a neuromuscular condition, who, through my desire to find out what caused my health challenges in the twilight of my life, discovered a way that I could enjoy greater comfort and a more fulfilling life, than the one I was facing at the time of my diagnosis some ten years ago. My mission, therefore, is to help as many others as I am able, with the knowledge and experience I have gained, since my diagnosis, by showing them that there are solutions, including a way of living a more comfortable existence, by making some positive changes to the lifestyle they currently enjoy. What is Electrolysed Reduced Water or ERW? ERW is normal tap water, which has gone through an ‘electrolysis’ process, in order for it to be return to its original state, free of contaminants, such as chemicals and toxins, yet retaining it’s original healthy mineral elements. The resulting water from this process comes out in seven different varieties. 4 of which can are drinking water and the other 3 for, cleaning, disinfecting and nutritional to the skin and plants. I was introduced to what is called ‘Kangen’ water, ‘Kangen’ in Japanese meaning “Return to Origin”, as I understood meant back to nature. Water such as the ‘Kangen’ water is produced naturally in a few parts of the world. In all of these regions you will find water that has just come of the mountain regions and has not yet been affected by the modern day environment. It is therefore very healthy to drink and also has healing properties too. It was this water, shown to me a few years ago, which has made all the difference in my life. If you would like to learn more, please feel free to get in touch with me here. Why Should You Drink Water? You have probably heard that water makes up over 70% of the body, right? Water is part of all body fluids and is vital to the proper function of the body’s organ systems. It should be obvious then that the quality of the water you drink is extremely important. For your body to be at optimal health, you should drink only the purest and cleanest water possible. Two-thirds of us do not drink the recommended 8-10 glasses of water daily. Continual loss of water from the body can slow down the metabolic rate by as much as 3%. Over one-third of us have suppressed their thirst mechanism to the point where it is often misinterpreted as hunger. The number one reason for daytime sleepiness and low energy is water loss. 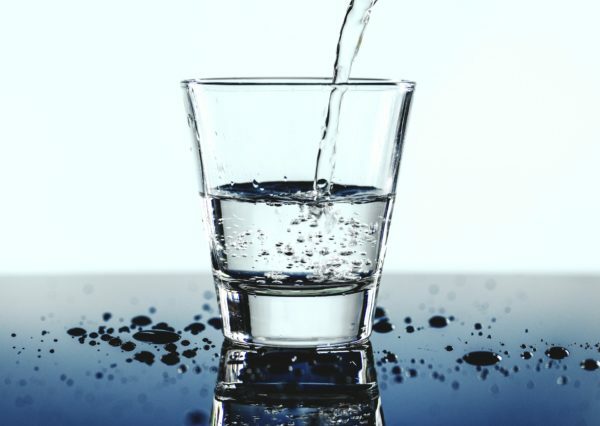 By the time a person feels thirsty, his or her body has lost 1-3% of its total water amount, which can affect memory and the ability to concentrate. Water naturally moisturizes skin from the inside out, giving you a fresh looking complexion and a beautiful glow. Water naturally carries more substances than any other liquid found on Earth, including vitamins, minerals and nutrients. It is clear that drinking water is paramount for a body that functions at a healthy level. Some common sources of drinking water found in city water systems, wells and even springs may contain chemicals like chlorine, fluoride, pesticides and more. Despite their use, these chemicals are not good for the body. Avoid the worry and drink Alkaline Ionised Water for optimal hydration! Alkaline and ionized Water offers a better alternative. When your body is at optimal health, the negative factors that are a result of our cultural lifestyle can easily be filtered out. Kangen Water® provides a positive alkaline environment and is filled with only the good things that nature has designed for well-being. We recommend you drink at least 8-10 glasses of alkaline ionised water a day. Alkaline Ionised Water is not only clean and pure; it is also filled with life enhancing minerals! Enjoy this alkaline water every day, and discover the advantages of smart and optimal-hydration. With its hydration ability, and mineral enriched great taste, Alkaline Ionised Water is a better choice for a healthy and active body! What could be more important? After all, your body needs more water. The Alkaline Ionized Water System is compact and easy to install in any home or office. It will conveniently transform your tap water into healthy, balanced water that is perfect for your lifestyle and your wellness goals. Did you know that changing the water you drink, can change your life? Change your water, change your life – my wife Michele and I, are Independent Global Distributors with Enagic®, the original Manufacturers of the Kangen Water™ machine, the world’s first Energy Rich, Anti-oxidant water ionizer! Fast becoming the UK’s newest kitchen appliance! The ENAGIC®, Leveluk K8, Kangen Water™ machine. Acid – Alkaline – Imbalance. I also discovered that this amazing device, which is relevantly new to the Western World, has many more benefits too! It produces 7 different pH grades of water, so there is absolutely no waste of any of the ionised water it makes. It is 100% safe to use throughout your house, cleaning disinfecting and washing. It even has a Beauty Water setting, that all the ladies will enjoy, especially when it is produced in total abundance at no additional cost! It can help you overcome the many health challenges you face, on a daily basis, cuts and bruises, aches and pains. It can save you money that you now spend on chemical based household cleaning products! It is able to clean all the pesticides and herbicides that growers spread on you food, which makes it taste so much better! you deserve, for the rest of your lives! If you Change your Water, it CAN change your life!